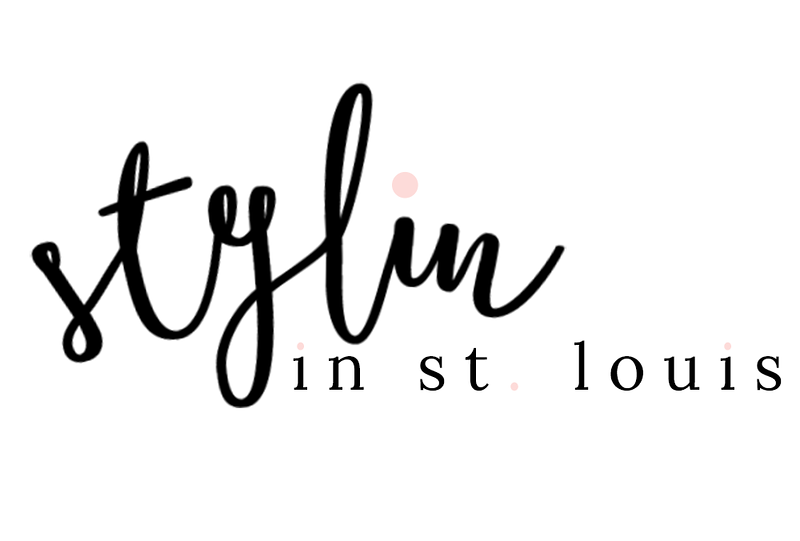 Stylin in St. Louis: Bloggers Who Budget: Neutrals for Less…. 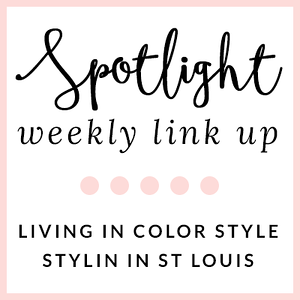 Bloggers Who Budget: Neutrals for Less…. Happy Monday! 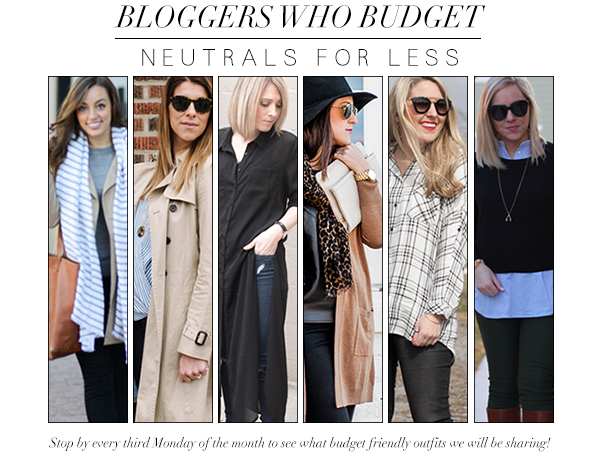 Today Bloggers Who Budget is styling neutrals! Neutral looks have always been one of my favorites! 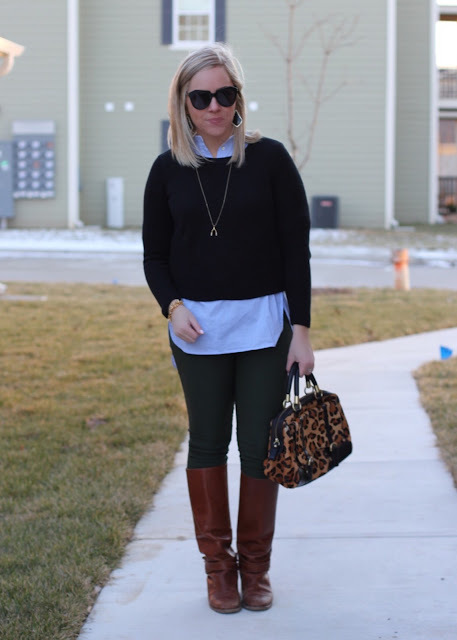 I got this black sweater for ten dollars at Banana Republic! You can never go wrong with a classic black sweater! Absolutely fantastic your outfit. The boots are so incredible, honey. I love the touch of leopard print in this look! You know I love my neutrals! Too cute! Love the length of the black sweater and how the chambray top looks layered under it! Adorable wish bone necklace, too! Love the shorter sweater and longer top! Too cute! I agree, a classic black sweater is a closet must have for winter. 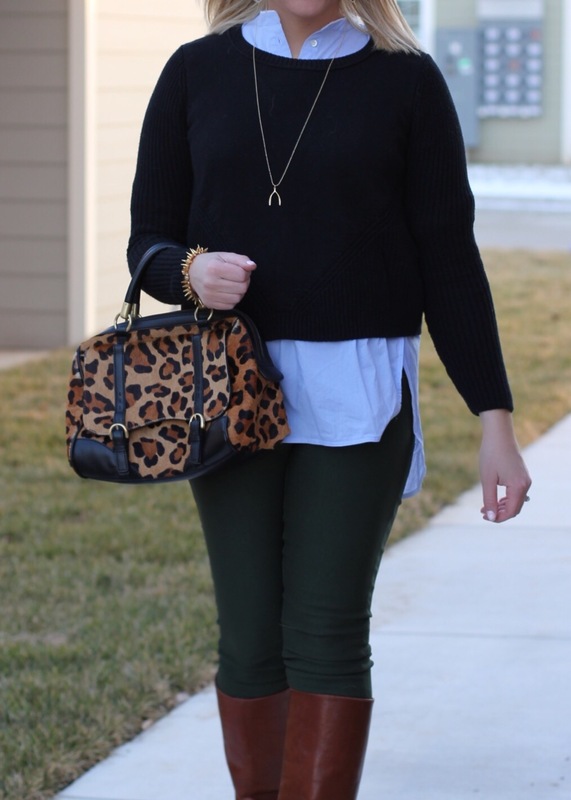 Love the layering and pop of leopard! 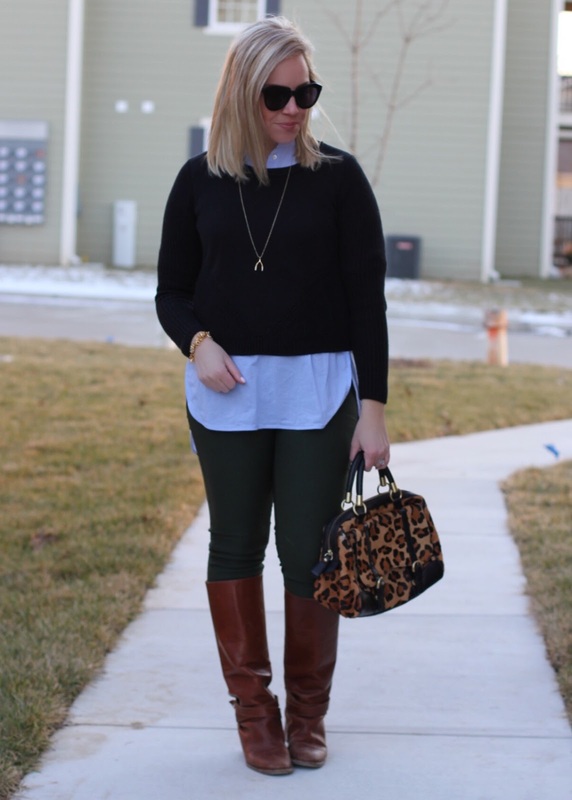 Loving these chic layers, lady! What a steal for that classic and well-made Banana Sweater. I went on a shopping spree there last weekend and got so many great things. The Talbot tote is beautiful and you look amazing. What an amazing deal on that Banana sweater! So good! 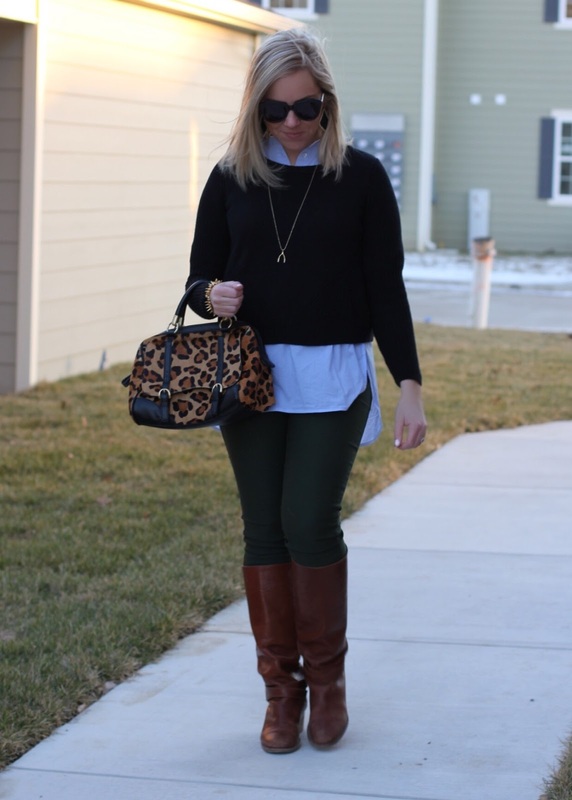 I'm clearly biased since this is my absolute fave way to dress for cold weather :) you look really good, and every day is a good day for animal print, seriously.